We all played Life, Trouble, and Headache as kids, right? And in our adult lives, we still play games though they’re not necessarily on boards anymore. Lots of games come to us via the internet. And those online ones? Some are obviously games while others are not as obvious. Some rely on figures and of course the bigger the better. Yeah, I know. We all get jazzed by numbers, especially when they go up. We love stats, we love data. Let's face it, numbers, including trended ones, are fascinating. Our follower counts go up. We acquire a new “friend”. Someone new circles us. We get invited to connect on LinkedIn and accept. Wonderful. It’s almost as fun as playing a game. Yes, these are exciting times. Then, Klout came along and entwined itself in our lives. We’re reaching, oh oh oh, for that higher number because we’re spurred on by Perks: Gift cards, tea bags, and if you’re lucky enough to be in the right metro area, a Chevy Volt test drive. Personally, I’m not all that concerned about what my Klout score is. It was once up to around 70; that was before the methodology change last year. It plummeted overnight to somewhere around 45 after the reformulation; obviously not in my favor. Public outcry and abandonment of the tool ensued. But I hung in there despite the mysterious algorhythm and other controversy surrounding the tool. And wow; Klout has some very nice stats about me...2,500 mentions and 1,100 retweets in 90 days? That sounds pretty darn good to me! Lately, I’ve been having fun experimenting, well, "playing around" with Klout. One day I removed the link to my personal Google+ account to see what would happen. Nothing. That’s likely because I never post publicly with that account. I’d rather connect it to one of my Google+ pages; however, Klout doesn’t allow a connection to them. Same with Facebook. There’s zero impact if I connect my very private personal profile to it. For a while, I had my MODern Marketing 4 U Facebook page associated with Klout. It currently has 420 fans and about 7% “talking about this” (for the record, that’s well above the 3% to 4% average). 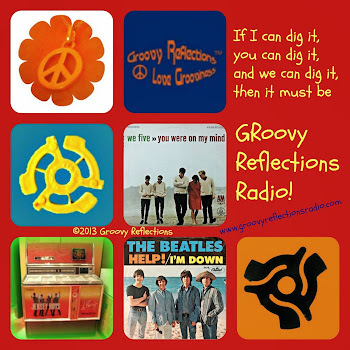 Then I had a bright idea; why not use my Groovy Reflections Facebook page instead? After all it has over 4,600 fans and a 28% to 35% “talking about this” rate. Wouldn’t THAT take my Klout score into the upper arches of the galaxy? Now, I’m scratching my head. Something doesn't make sense here. More fans, more activity, lower Klout score? Someone explain this to me please. My score shot up from 45 to 57! I lost one point for my "goofing around". Eh. Will that stop me from my experimenting? No. Oh, for the record, you can only connect one account from any given social network to Klout at any time. So choose wisely and make better choices than I have! So, how is your Klout? 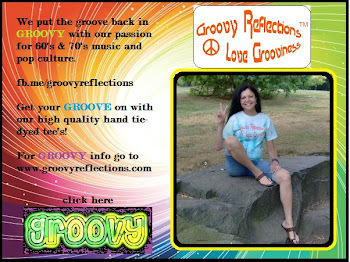 If you're curious, find me on my website,Twitter, Facebook, or Google+! Interesting experiments, thanks for sharing the results. Given your market research background, I figured you’d find some interesting results with Klout. I find it hard to take Klout seriously on the influence dimension. The people who influence me the most are those I trust, that I can turn to for advice and guidance. I couldn’t really quantify an index of trust for these people because they are priceless. I get the idea of Klout though. What a marketer’s platform of segmentation and research it is turning into! The use of all that data to define segments, audiences, complete psychographics – it’s all there. So I get it from a business model standpoint. It has definite potential as a service to marketers, particularly those from B2C industries. As for my participation on Klout, I have decided to pay it forward. I get points occasionally, and I like to pay them forward to those friends I trust the most, the ones that defy quantification because they are priceless. O pay forward the Ks to others. If it makes my friends feel and know they are valued, all the better. When I shifted from Klout being about me to being about making my friends and associates see that I respected and valued them, the entire experience became so much more fun. that you are a trailblazer Thanks for the info Gerry! Good article on what always causes a spirited discussion when you bring it up... Klout. And I would agree with you that it's hard if not impossible to understand just what Klout measures or what it means. I know that it has some interesting stats and info as you point out but it also has some really stupid stuff too. For example Klout thinks I'm influential on subjects like Philadelphia (med rank yet) which I can't even find one instance of Tweeting about with Twitter search. And I've never lived there but yet I'm very influential about it in Klout's eyes. Even stranger to me is my ranking in Sundance. Klout has me ranked medium but with no one giving me any +K in it and my never having tweeted about it to my knowledge where does my “Klout” score come from? And finally my favorite, Prison… yes Klout thinks I’m influential about prisons. In fact I’m ranked as being of medium influence on prisons. I don’t quite know how to take that… does Klout know something I don’t? Anyway its things like this that make Klout raise such divergent views about both its methods and its worth. But it is a ranking service for what otherwise is unranked and it does obviously follow many matrixes as I do see changes over time related to my usage and the +K and other interaction I have with it. So the long and short is that I think Klout is interesting but still under development and I think that it will continue to develop as time goes on. And I’ve decided to go along for the ride. It’s fun to play with the numbers and mix things up to see what happens. And it’s a simple way to reward those we follow on Twitter, FaceBook, Google, and other sites. I never cease to be amazed just how some people respond to a gift of +K. Anything that bring a smile and a response to my followers can’t be all bad. That means if you follow me on Twitter and ask I’ll be more than glad to consider sending you +K (or receiving it for that matter) if that’s something you find interesting. But I’ll also never bring it up if you don’t so if you’re a non-Klout person you’ll still find me an interesting follow. As in the end its content and communication that are the real “ranking tools” that I use to both decide to follow you or how I try earn your interest in following me.